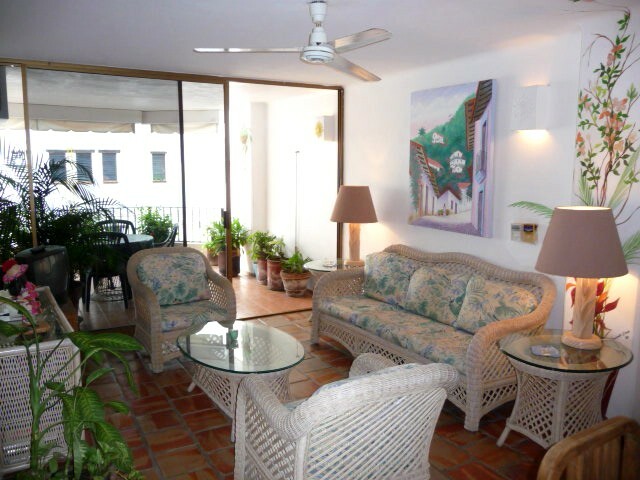 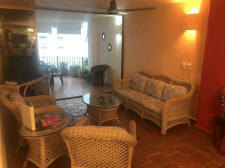 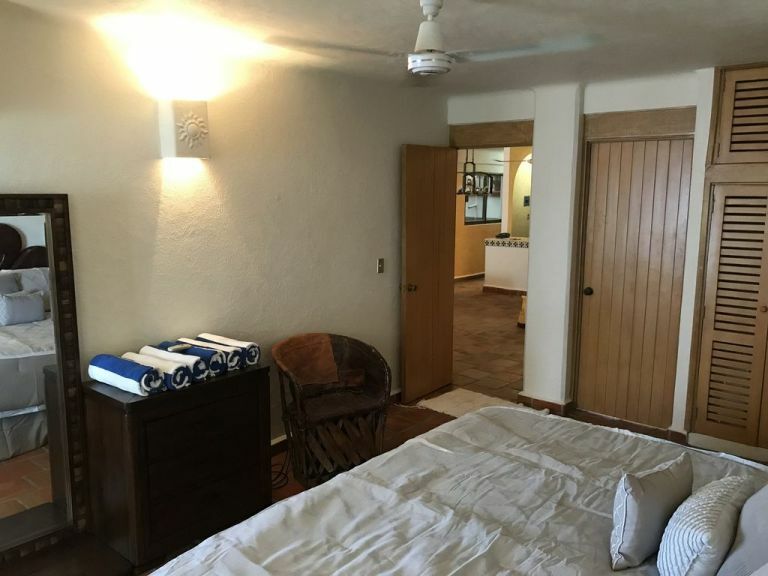 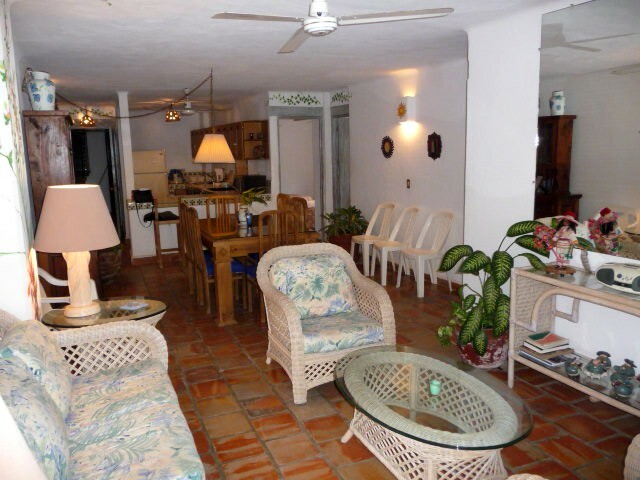 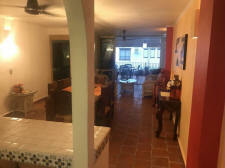 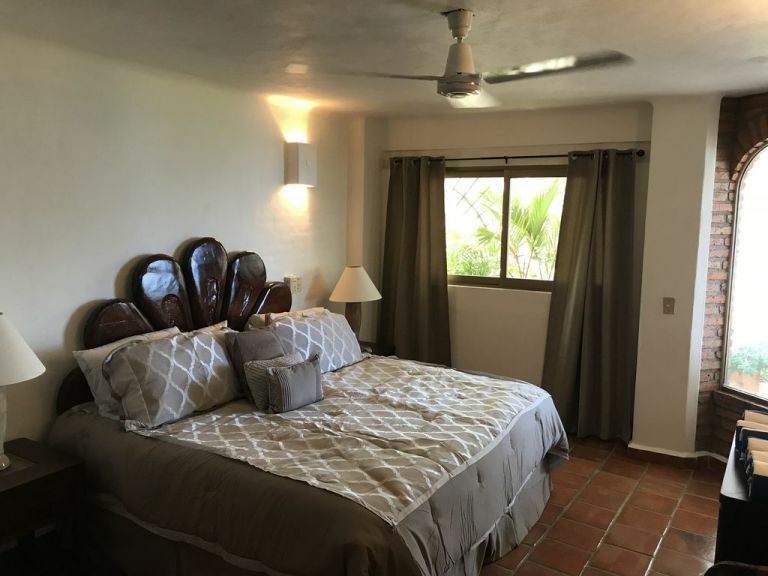 LP-36 Los Muertos beach Condo - Recently remodeled third floor ocean-side two bedroom in the most popular condominium building on Los Muertos beach, with 46 units. 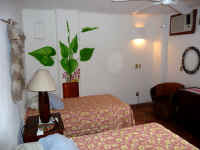 King bed in the master and king/two twins in the guest bedroom, each with own bath and the master bathroom with combination tub/shower, fully equipped kitchen with refrigerator, stove, microwave, toaster, coffee maker and dishwasher, air conditioning in bedrooms only, local telephone, ceiling fans, cable television in the living room only, wireless internet, safe in unit, living and dining area opening onto balcony with nice city, mountain and partial Bay and beach view looking to the south. Recently with new CD/DVD player, bath towels, bed sheets and blankets, blow dryer in each bathroom. 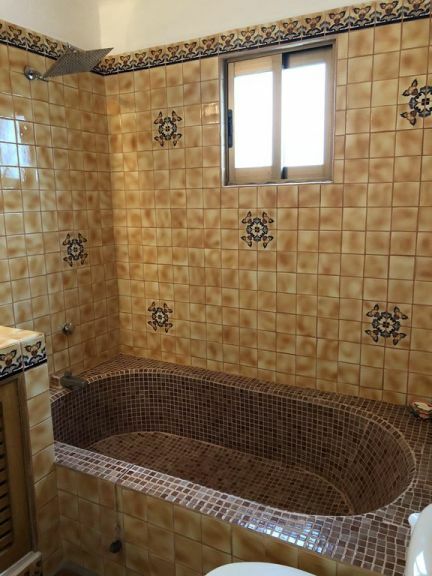 Pets not allowed, children are allowed. 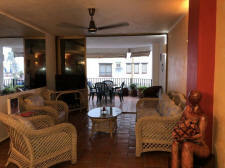 No parties or events are permitted. 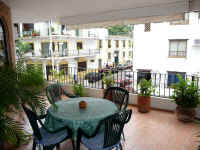 No smoking allowed inside, please, smoking allowed only on the balcony/terrace area. 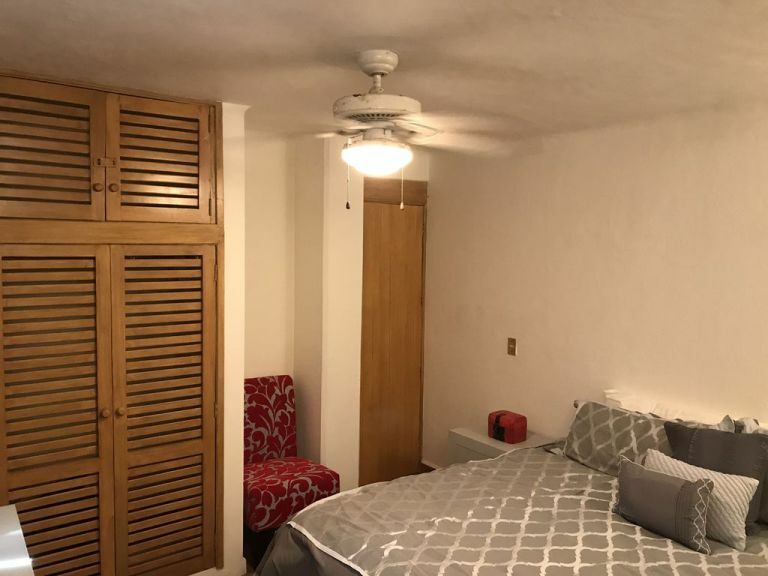 Note: Since this condo vacation rental is located across the street from the Blondies restaurant-bar, you may experience some street noise. Condo building with staff of fifteen, large common heated rooftop pool and terrace sundeck area with panoramic views of the city and Banderas Bay, 24 hour reception desk and security, elevator, maid service for 6 days a week (except Sunday and Mexican holidays), and one of Vallarta's most popular beachfront restaurants. 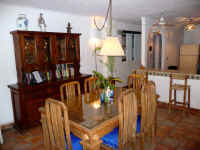 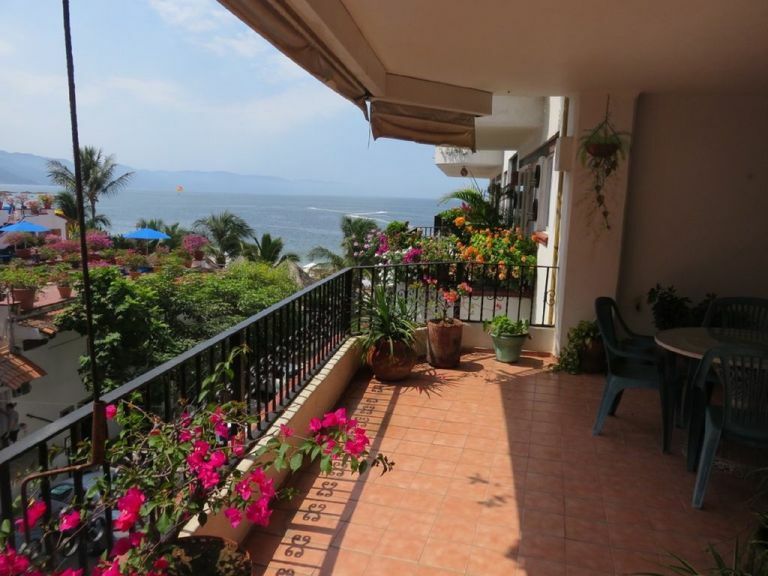 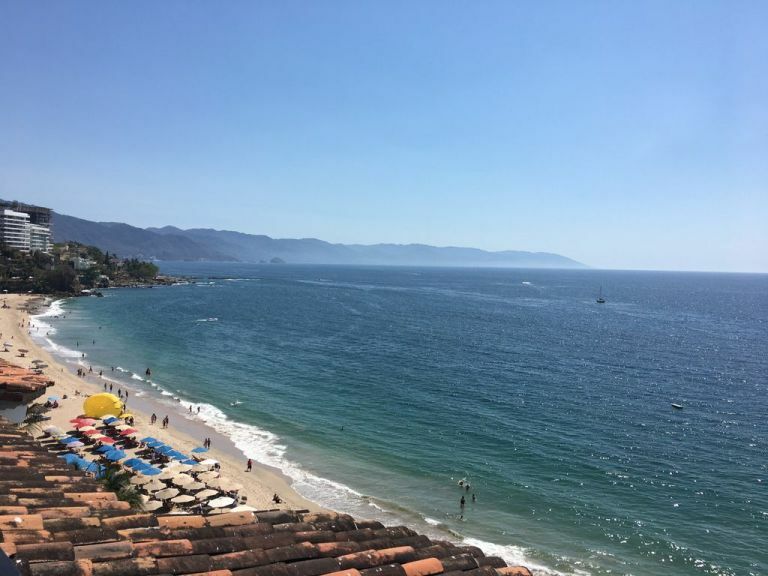 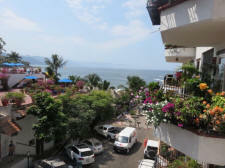 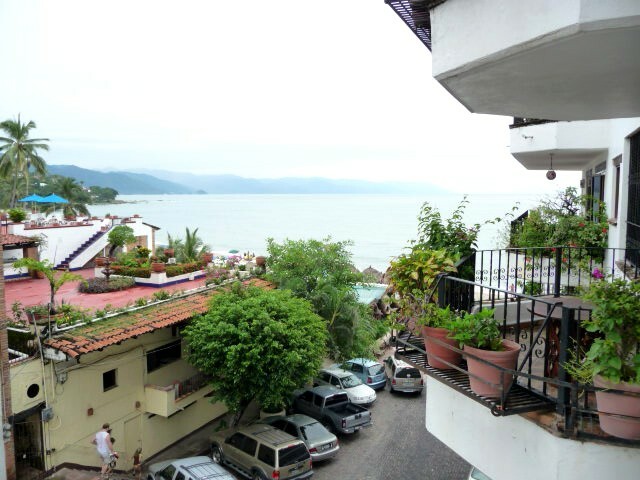 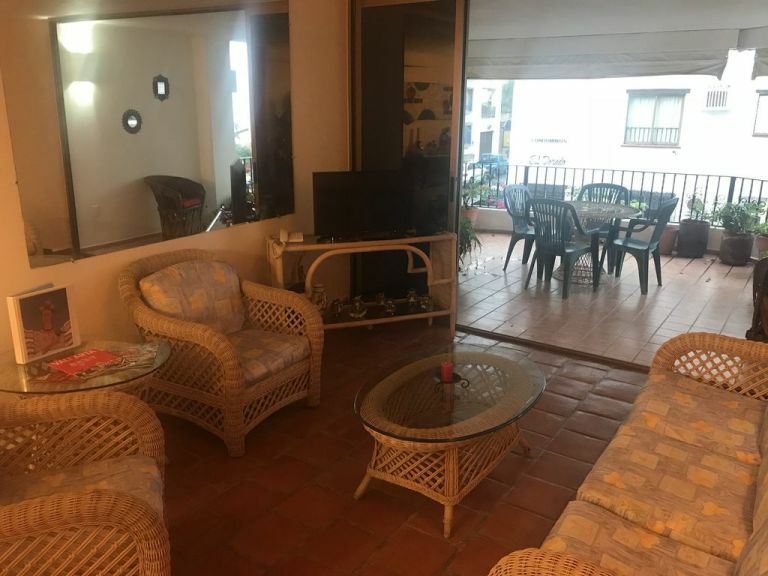 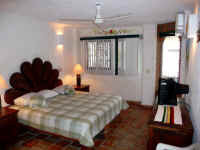 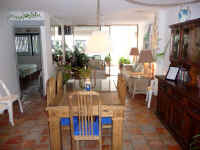 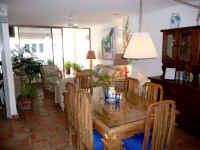 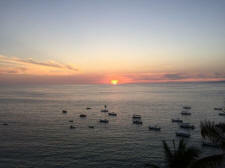 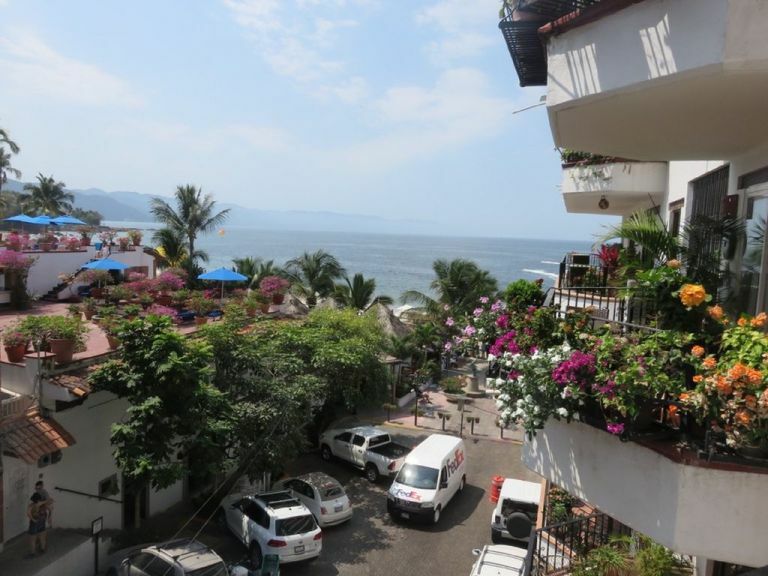 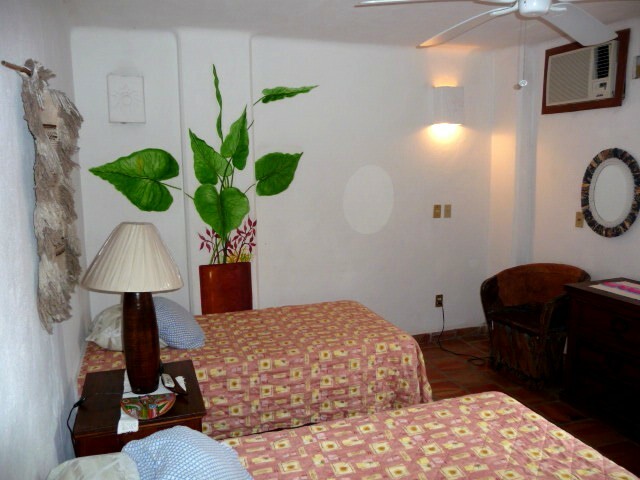 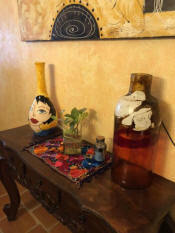 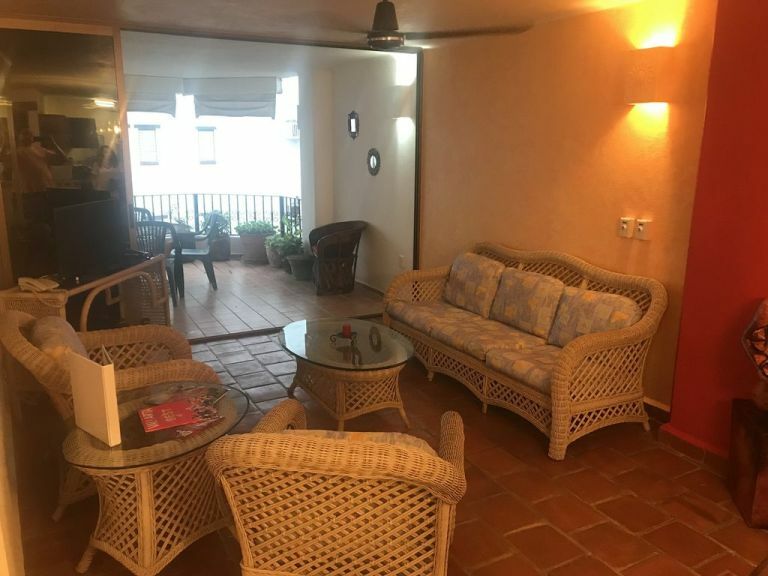 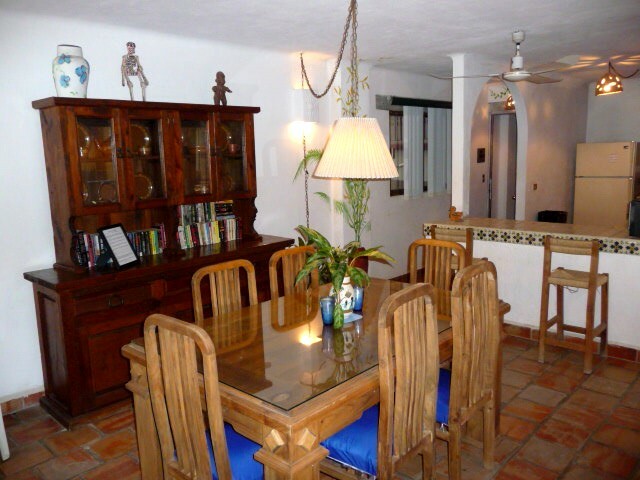 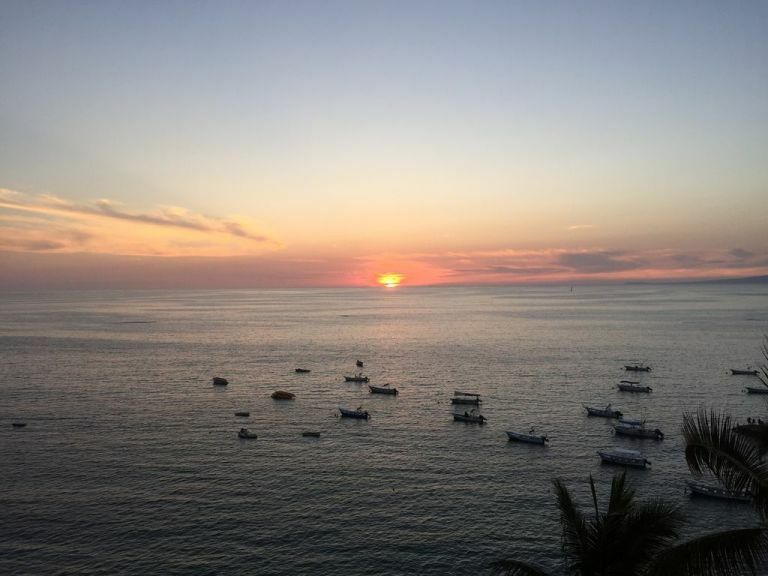 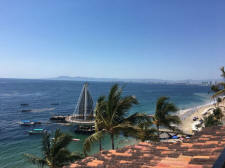 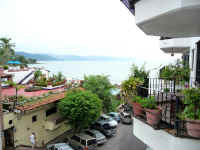 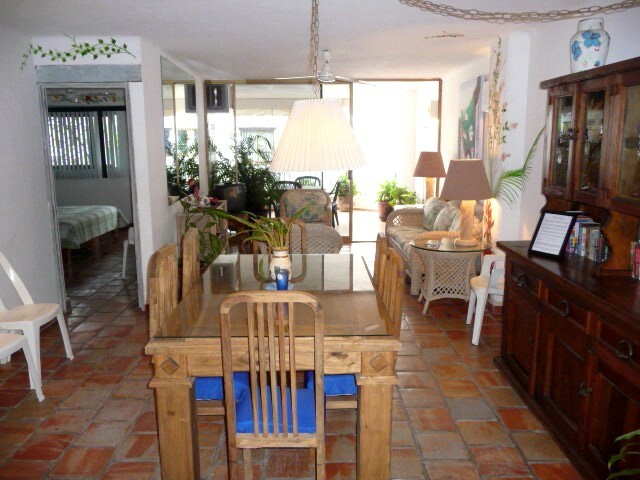 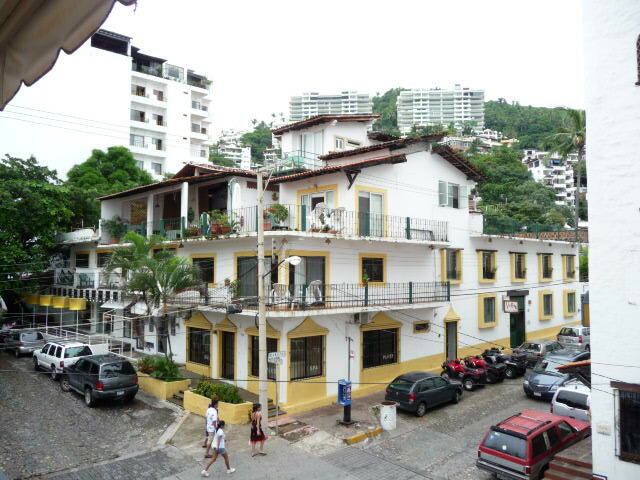 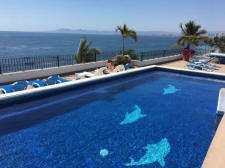 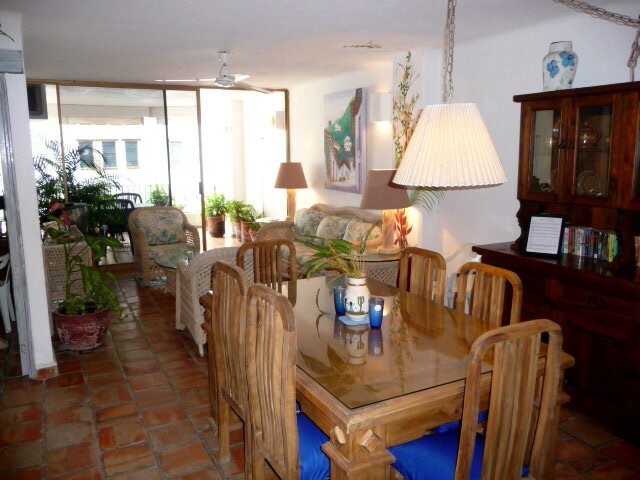 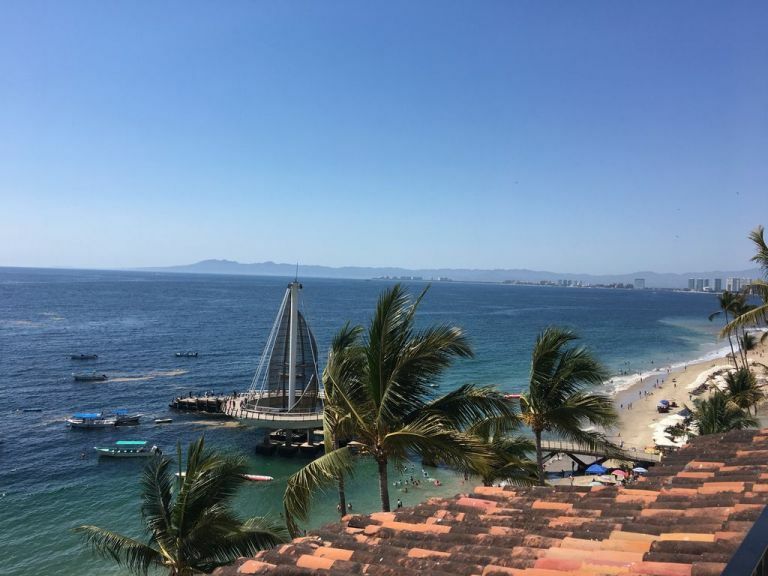 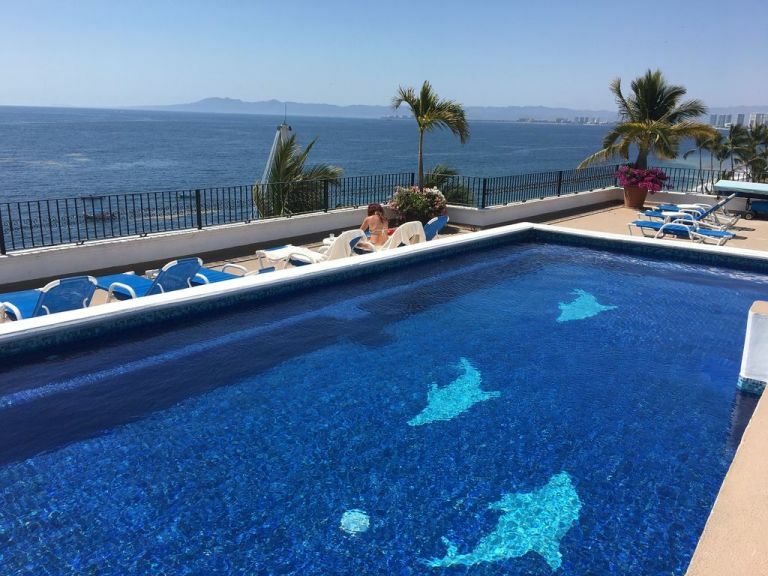 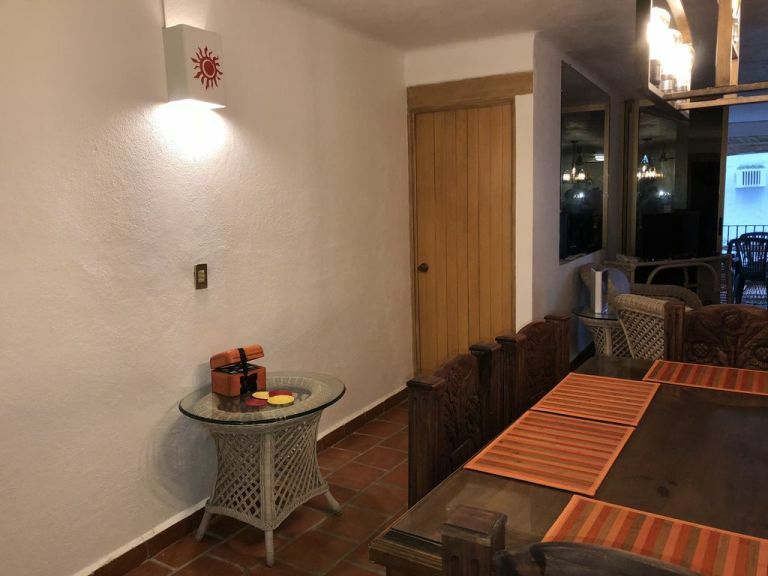 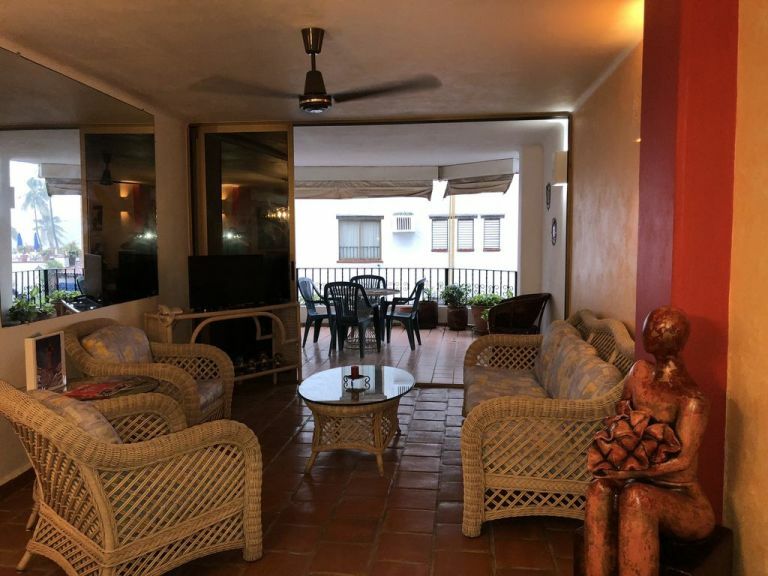 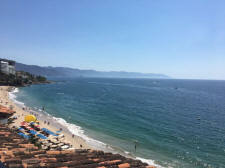 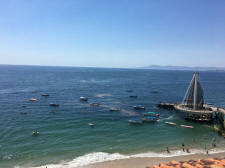 La Palapa condos are very centrally located so it's a short walk or taxi to all South Side relaxing sidewalk cafes and bookstores, fine restaurants and stores, the lively Vallarta gay nightlife and a short two blocks to the the well-known gay beach area at the Blue and Green chairs. 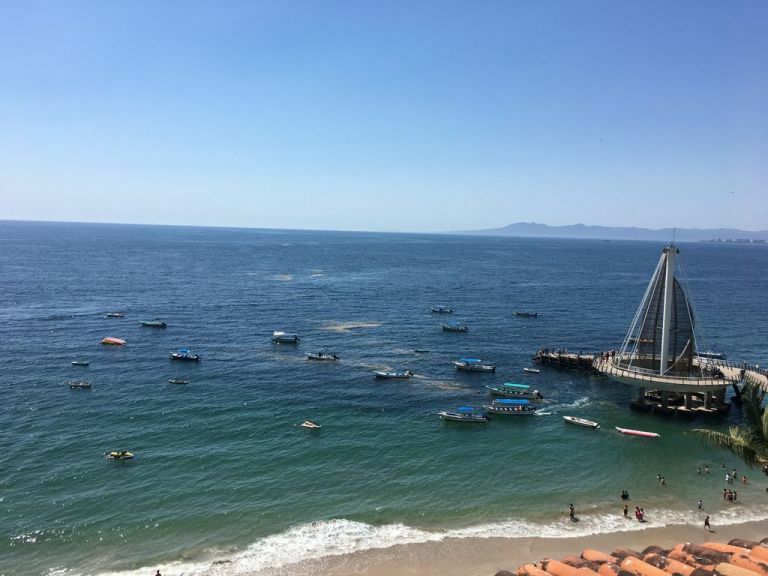 Stroll along Los Muertos beach and then cross the popular pedestrian bridge to the malecon boardwalk of the el Centro downtown area. 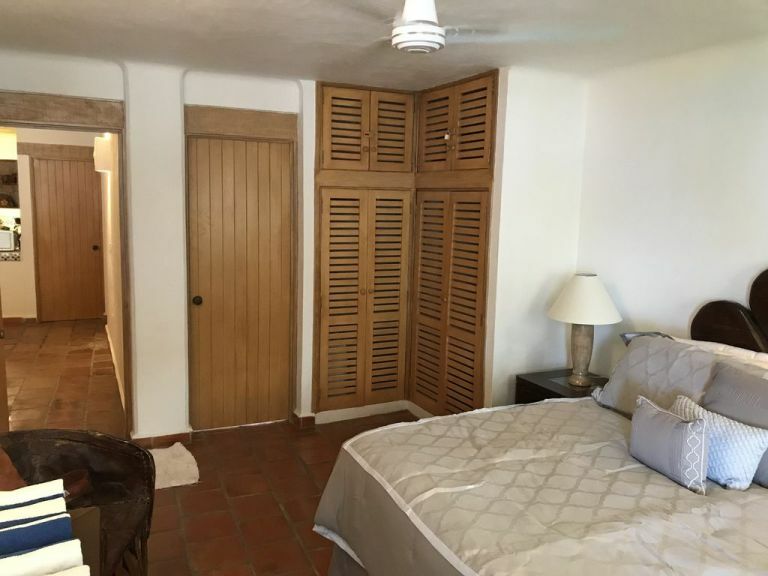 Note: There is a $200 refundable security deposit which I hold for my clients in case of damages and return within approximately 7-10 days of departure. 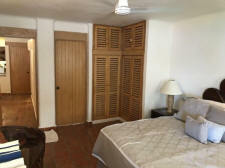 Check in for this property is at 4pm and check out is 11am. Four (4) persons maximum; the minimum age of the primary renter is 21. 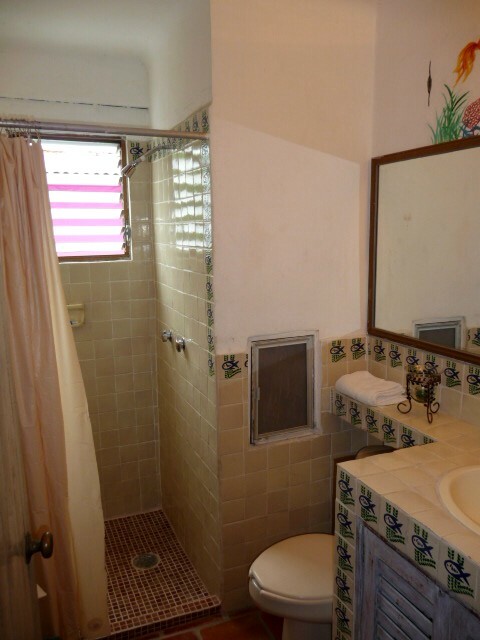 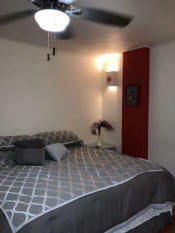 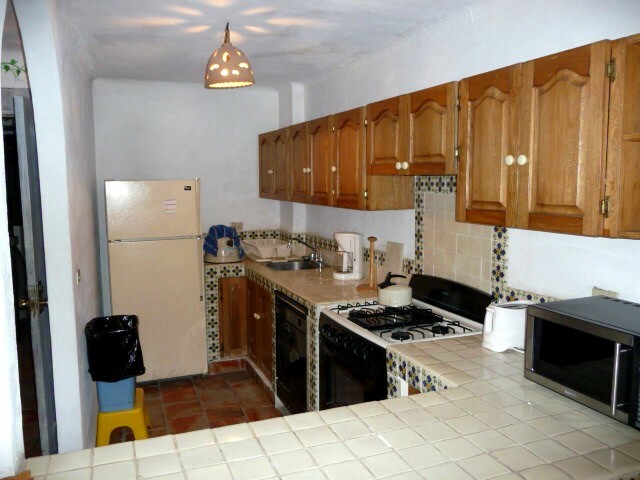 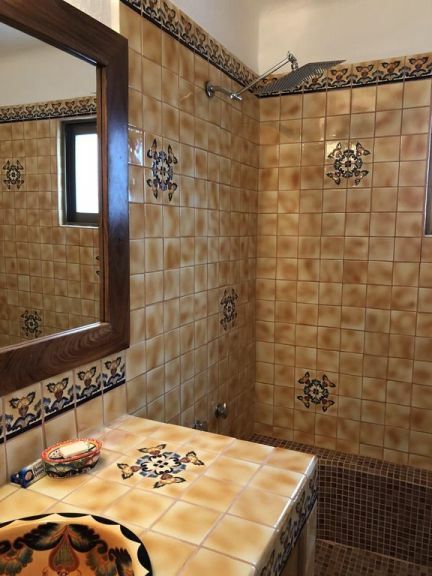 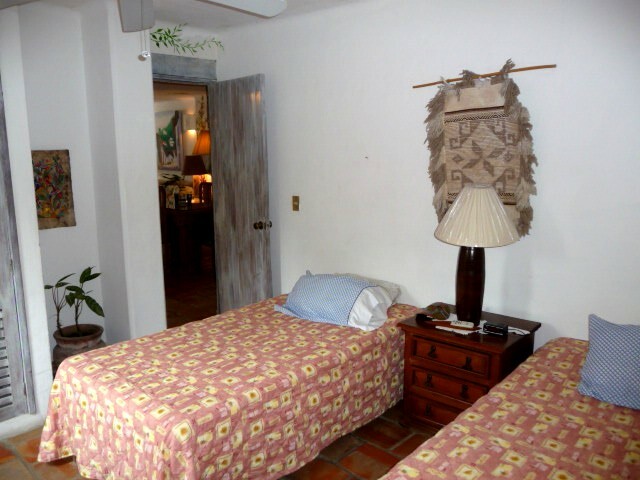 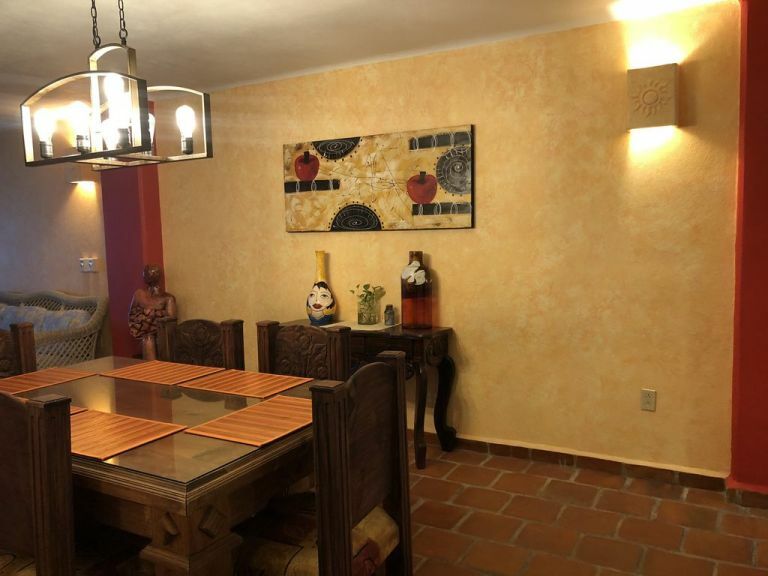 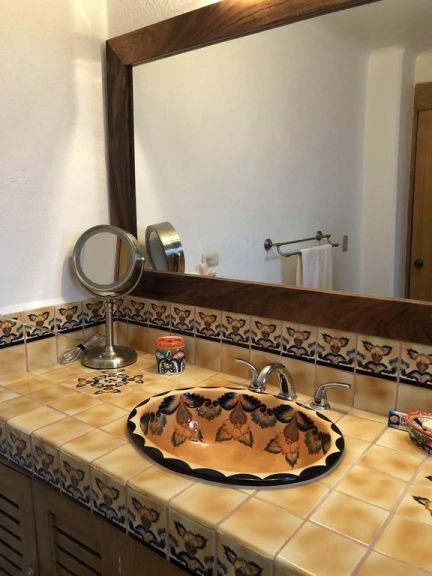 As of the summer 2018, this condominium has been remodeled with new beds and furniture, newly painted, renovated bathrooms with mexican tiles, new TV and wall a/c unit, etc. 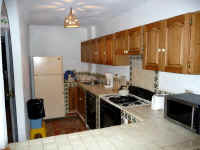 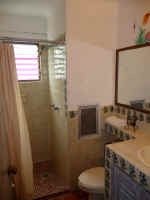 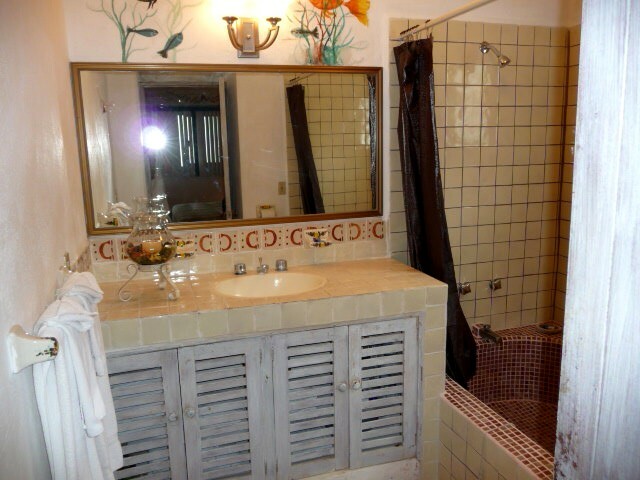 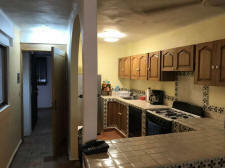 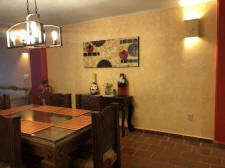 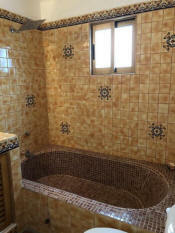 The photos now updated, so you can see both before and after the recent remodeling.